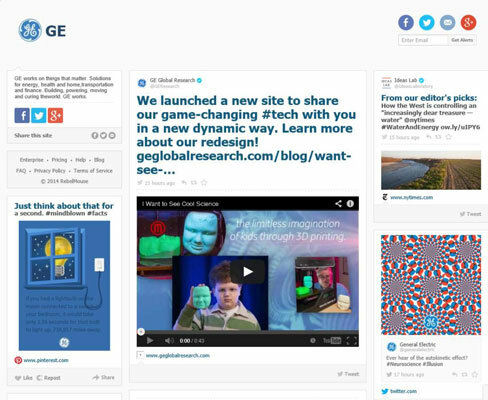 Corporations — such as GE — use the RebelMouse to create pages that bring in photos, videos, blog posts, Vines, tweets, and other content that GE generates through its social-media marketing campaigns. Writers and journalists are often active social media participants, and you’ll find many of them on RebelMouse. 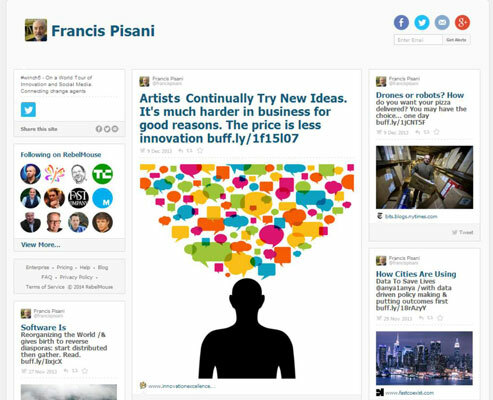 Francis Pisani, whose work is regularly published in leading international newspapers, including Le Monde in France and El País in Spain, uses RebelMouse to aggregate his social media posts, which makes it easy to keep up with all his latest research. Travis Smith, president of the Hop Studios web design firm, uses social media to stay in touch with friends as well as promote his business. 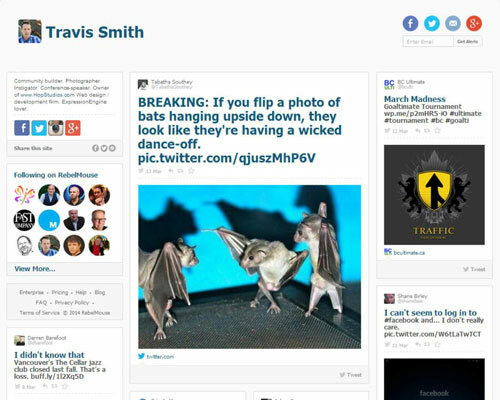 Travis posts a nice mix of funny, as well as informative, posts on a variety of social media sites. Visit his RebelMouse page to see his Facebook, Google+, Twitter, and Instagram updates all in one place. 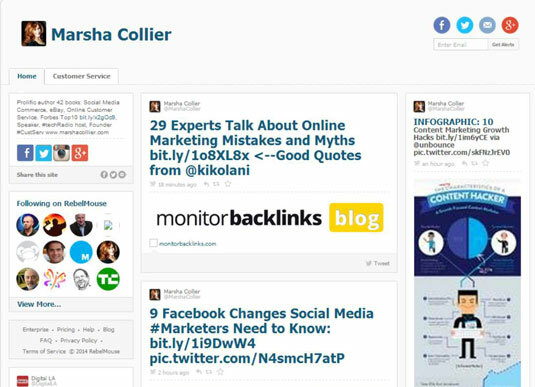 Author Marsha Collier is active on all the top social media websites, which makes RebelMouse an ideal place to find her latest tips and tricks. Best known for her books on eBay, including eBay For Dummies, Marsha is the author of 48 books, and her use of social media provides a great model for how to promote books by becoming a great source of information for your target audience. 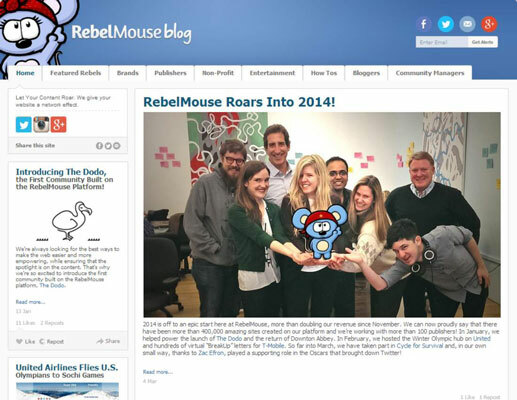 It should come as no surprise that RebelMouse has its own RebelMouse page. The central post in highlights the company’s extraordinary growth and some of its most recent successes, including hosting the Winter Olympics hub for United Airlines.